Condition You’re viewing this stunning Louis Vuitton Bowling Montaigne GM Purple Epi Leather Handbag. 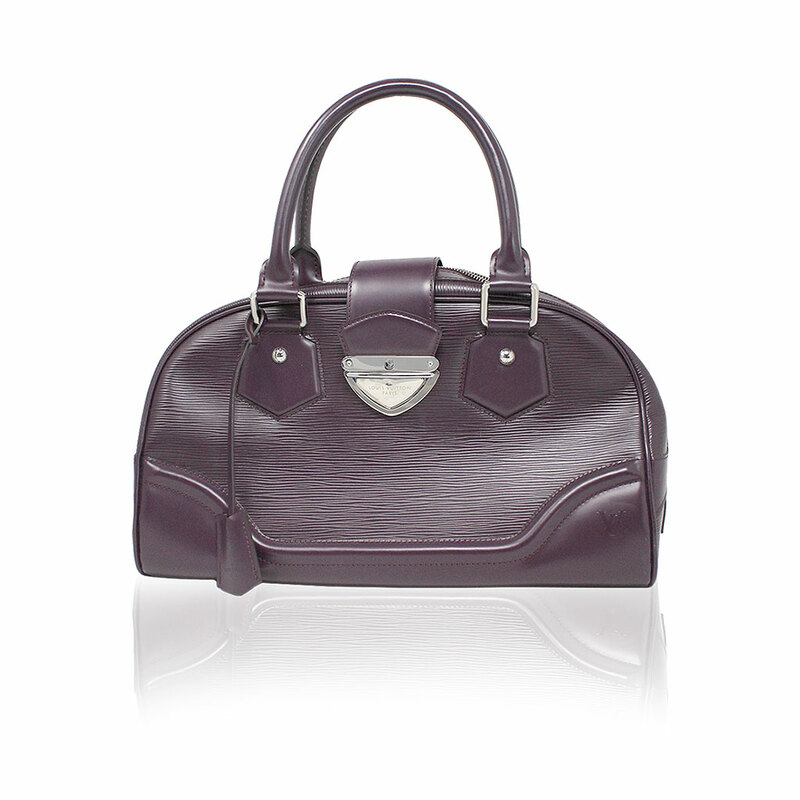 This beautiful deep purple handbag has been kept in excellent condition but does show minor signs of wear. This purse comes with original dust bag and receipt. 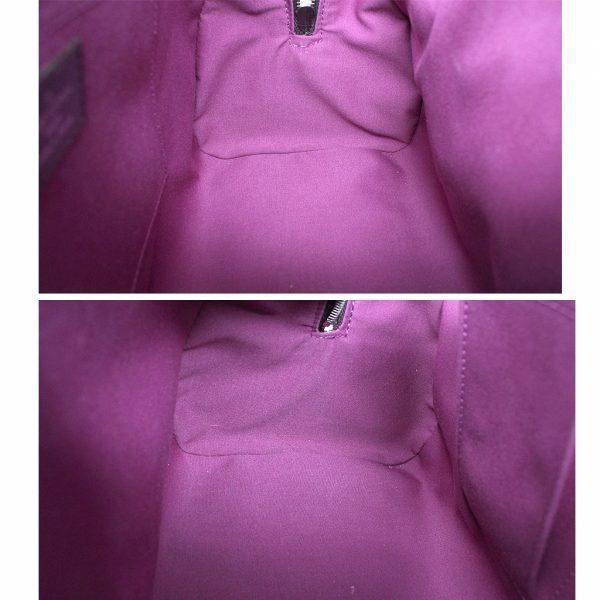 On the front of the purse you will see very tiny and faint scratches near the bottom corners. 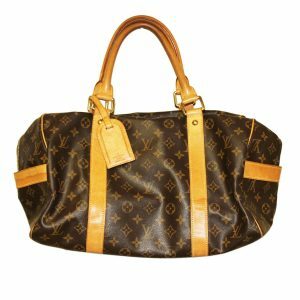 On the back of the bag you have a large pocket compartment. 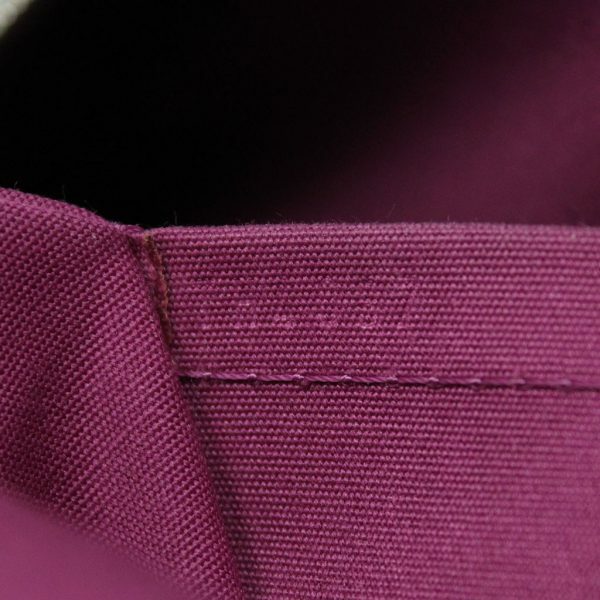 Within the pocket you will see a white stain on the purple leather, but there are no stains within the purple textile lining. 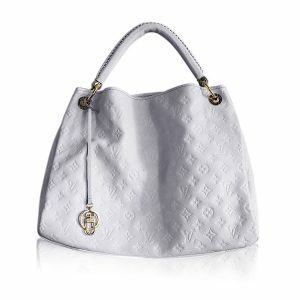 You will also see very faint scuff marks on the back of the purse near the bottom right corner. 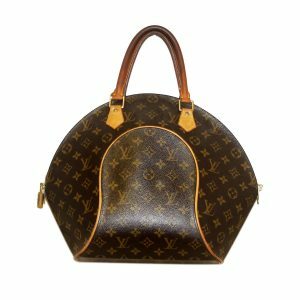 Both sides of the purse are in excellent condition. 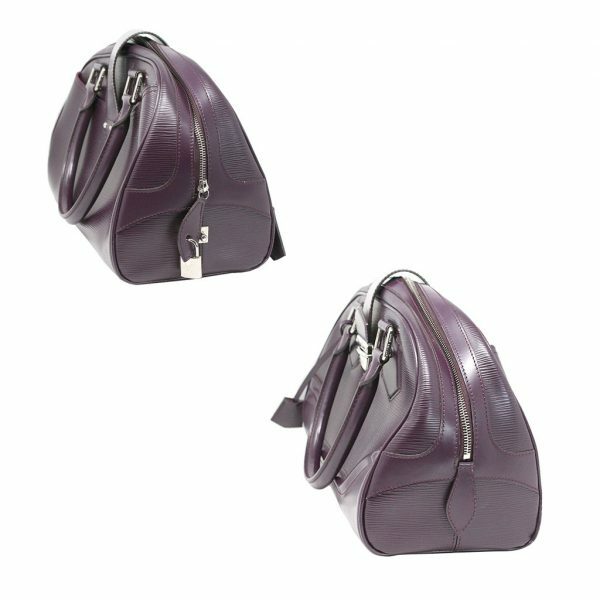 The closure is a silver tone zipper with attached padlock. The zipper works properly and shows no tarnish. 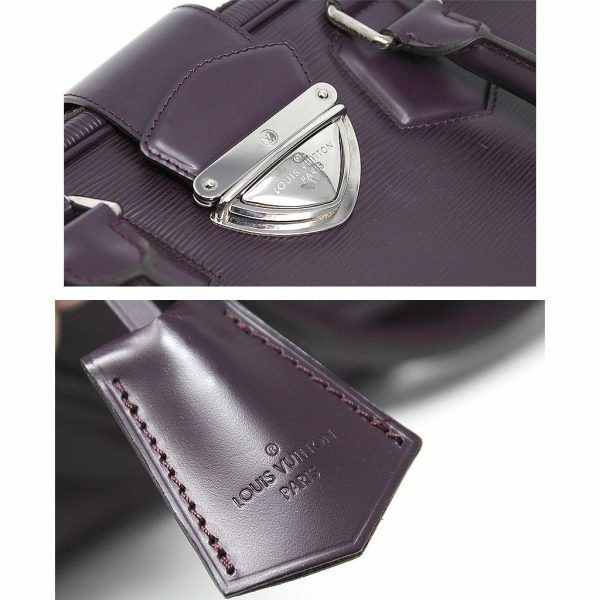 There is also a strap buckle closure to secure the purse. The silver buckle is in excellent condition and shows no severe scratches and no tarnish. 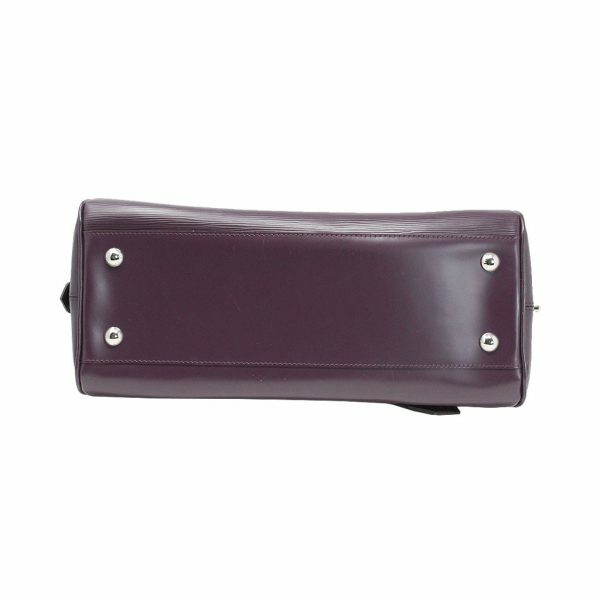 Carry this purse comfortably with the purple rolled handles with a drop of 7″. Attached to the handles is a key bell with set of two keys for the padlock. The handles shows one small scratch and one faint scuff mark. The bottom of the purse has 4 silver tone feet with very minor scratches from use. There are faint scratches and light stains on the bottom leather as well. 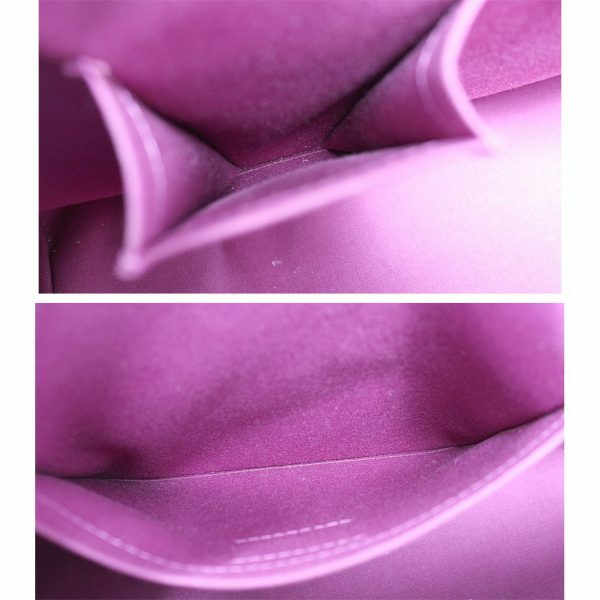 Light scuff marks can be seen along corners of the purse on the piping. 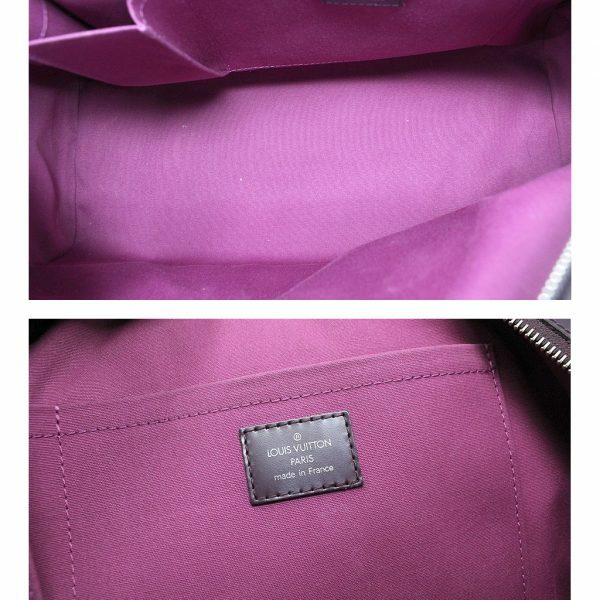 As you open the top zipper and look inside, you will see the beautiful purple textile lining. The interior has one large pocket compartment and one small small phone pocket compartment. The interior is free and clear of any pen marks, rips and tears and foul odors. There are minor white stains on the bottom of the interior, and an outline of a stain on the side wall of the interior. 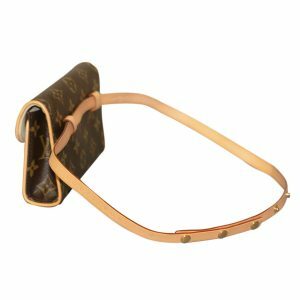 This purse can carry all of your daily essentials perfectly! Comes with original dust bag and receipt. Perfect color for spring and summer! Buy it now or make us your best offer.